Dylan Strome was recognized with three American Hockey League awards over the course of five weeks in late October and throughout November during a phenomenal stretch of play that saw the then 20-year-old rookie average just under two points per game. During that span, which consisted of 12 games, Strome accumulated 23 points (8G, 15A) in a tremendous run that was sparked by his first-career professional goal against Tom McCollum at Van Andel Arena on October 25 in a 3-1 victory over the Grand Rapids Griffins. He was first named the CCM/AHL Player of the Week on October 29, following a week that saw him put up seven points (1G, 6A) and a plus-eight rating as the Roadrunners belted out three consecutive wins. Not long after, Strome was again named the league’s best weekly performer on November 26 after notching eight points (4G, 4A) in a three-game spell that saw the Roadrunners momentarily climb to the top of the Western Conference. He tied a career and franchise record by racking up four points (2G, 2A) on November 22, a 5-0 shellacking of the San Diego Gulls, a team he would have an affinity for producing at spectacular rates against, leading the Roadrunners to their first-ever home win against their Pacific Division rival. At the end of November, Strome was named the CCM/AHL Rookie of the Month, becoming the second player in franchise history to earn that honor after registering 16 points (7G, 9A) in the team’s nine games played. In doing so, he simultaneously tied an old franchise record by putting up points in seven-straight games, a record he would eventually break and set, one later topped by Mike Sislo in January. Strome’s illustrious run earned him a recall to the Arizona Coyotes, where he would subsequently pot his first-career NHL goal days later against the New Jersey Devils on December 2 at Gila River Arena. 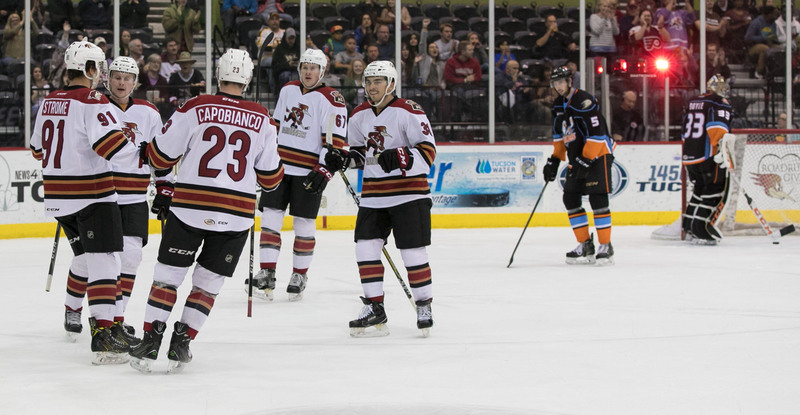 Over the course of the five-week, 12-game stretch which saw Strome garner generous recognition, the Roadrunners posted an 8-2-1-1 record, earning points in all but two contests. 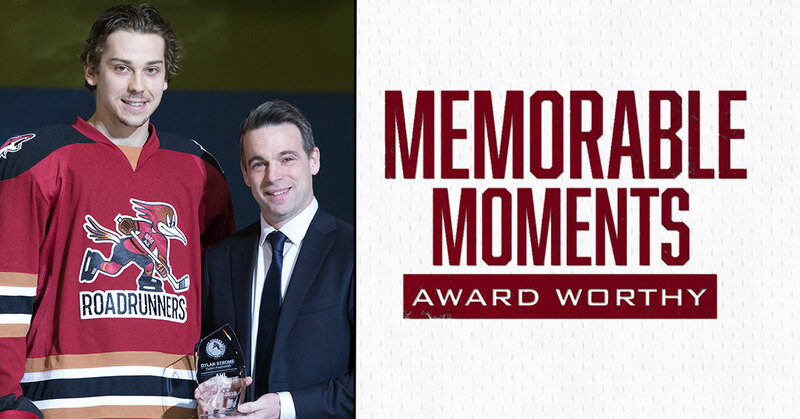 He registered multiple points in seven of those contests, a magnificent start to a stellar rookie season that would see him finish the year with 53 points (22G, 31A) in 50 games with the Roadrunners and nine points (4G, 5A) in 21 games with the Coyotes.